Adding sulfuric acid to water, 4 of 4. 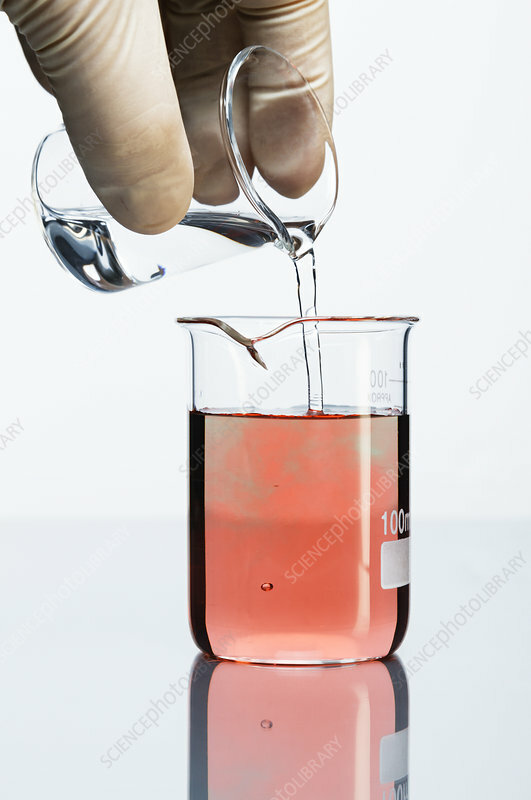 Sulfuric acid (H2SO4), 0.1 M concentration, is poured into a beaker that contains water with few drops of universal indicator added. Initially water is green (neutral), then it progressively turns red as the solution becomes acidic throughout the volume.